Getting into e-commerce is a great way to start an international business that can be run from anywhere in the world. Our law firm offers professional legal support for Internet projects. Bring your idea to us and we will give it a solid legal foundation. 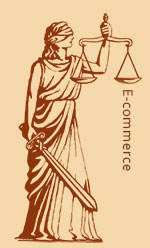 Our lawyers will provide you with essential advice and handle the legal paperwork necessary to launch your e-commerce enterprise (online store). help you determine the categories of personal data and understand the implications of the new General Data Protection Regulation (GDPR) (Regulation (EU) 2016/679). Feel free to contact us for advice on electronic commerce. This will be your first step in setting up an international business.